Yong-Rui Zou, PhD, is the head of the Laboratory of Hematopoiesis and an associate professor at the Feinstein Institutes for Medical Research. She obtained her PhD from Cologne University, Germany in 1994. During her PhD study in Dr. Klaus Rajewsky’s laboratory, she generated the world’s first mouse strain that produced human antibodies. Dr. Zou made significant contributions to the development of the gene targeting technology that is now used worldwide as an essential method to determine biological function of any proteins. In 1996, Dr. Zou joined Dr. Dan Littman’s laboratory at New York University as a postdoctoral fellow. Her studies showed for the first time that molecules involved in cell trafficking play a critical role in the formation of the brain. 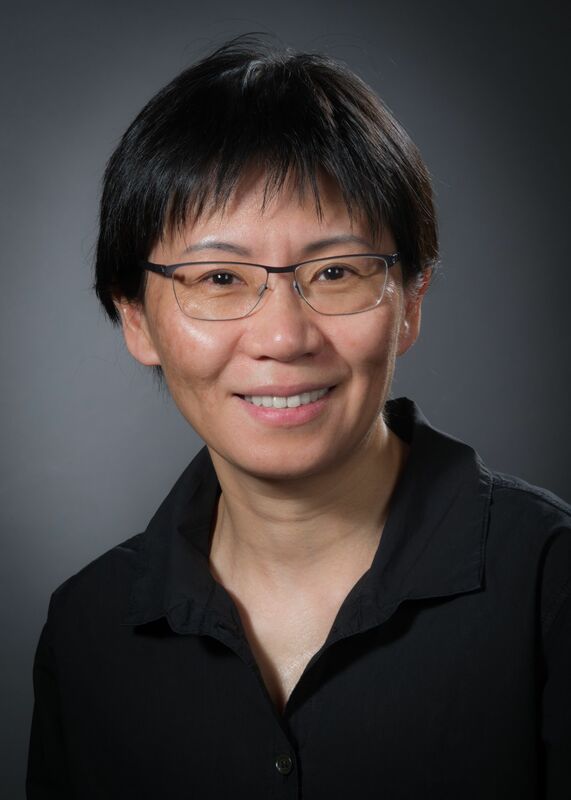 Dr. Zou has received a number of honors, including the Howard Hughes postdoctoral fellowship, the Irvington Institute postdoctoral fellowship, the Pew Scholar Award and the Irene Diamond Professorship in Immunology. Dr. Zou was an Assistant Professor of Microbiology at Columbia University from 2001 to 2009. She joined the Feinstein Institutes in 2009. All lineages of leukocytes are generated from the common hematopoietic stem cells (HSC) in the bone marrow. Understanding how HSC differentiate into these lineages and how different leukocytes migrate to various locations to execute their specified functions is thus of paramount important. Dr. Zou’s laboratory has been using and developing genetic and biochemical approaches to identify the mechanisms underlying the formation of lymphoid organs. The research in the Zou lab includes a focus on HSC function under normal and inflammatory conditions. Our recent studies showed a role for the chemokine receptor CXCR4 in maintaining HSC quiescence. The dormant state of HSCs can be disrupted by inflammatory factors. Furthermore, inflammatory factors, such as HMGB1, skew HSC differentiation potential towards the myeloid over lymphoid lineage. A new lab research area focuses on how inflammatory factors affect the bone morrow microenvironment and differentiation of stromal cells in lymphoid organs in autoimmune diseases. Research: Development and function of stromal elements in lymphoid organs. Zou, Y.-R. and Diamond, B. (2013) “Fate determination of mature autoreactive B cells.” Adv. Rev. In Immunol. 118, 1-36. Niu, H., Fang, G. Tang, Y., Xie, L., Morel, L., Diamond, B and Zou, Y.-R. (2013) “The function of hematopoietic stem cells is altered by both genetic and inflammatory factors in lupus mice.” Blood, 121(11), 1986-1994. Li W., Kohara H., Uchida Y., James J.M., Soneji K., Cronshaw D.G., Zou Y.-R., Nagasawa T., Mukouyama Y.S. (2013) “Peripheral Nerve-derived CXCL12 and VEGF-A regulate the patterning of arterial vessel branching in developing limb skin.” Dev. Cell, 24(4), 359-371. Kim, SJ., Zou, Y.-R., Goldstein, J., Reizis, B. and Diamond, B. (2011) “Tolerogenic function of Blimp-1 in dendritic cells.” J. Exp. Med. 208, 2193-2199. Liu, Z., Zou, Y.-R. and Davidson, A. (2011) “Plasma cells in systemic lupus erythematosus: The long and short of it all.” Eur. J. Immunol. 41, 588-591. Jang, IK., Cronshaw, D., Xie, L., Zhang, J. P., Oh, H., Fu, YX., Gu, H., Zou, Y.-R. (2011) “Grb2 in B cells controls lymphoid follicle organization and germinal center formation.” Proc. Natl. Acad. Sci. USA 108, 7926-7931. Han, Y-C., Park, C., Bhagat, G., Zhang, J. P., Wang, Y.L., Fan, J. B., Liu, M. F., Zou, Y.-R., Weissman, I., and Gu, H. (2010) “MicroRNA miR29a regulates self-renewal of hematopoietic and myeloid leukemia stem cells.” J. Exp. Med. 207:475-489. Cronshaw, D. G., Waite, J., Nie, Y., and Zou Y.-R. (2010) An essential role of the cytoplasmic tail of CXCR4 in G-protein signaling and organogenesis. PLoS ONE 5(11): e15397. Agarwal, U., Ghalayini, W., Dong, F., Weber, K.,Zou Y.-R., Rabbany, SY., Rafii, S., Penn, MS. (2010) “Role of cardiac myocyte CXCR4 expression in development and left ventricular remodeling after acute myocardial infarction.” Circularion Res. 107, 667-676. Jang, I. K., Zhang, J. P., Chiang, Y. J., Kole, H. K., Hayman, J. R., Chronshaw, D.G., Zou, Y.-R., and Gu, H. (2010) “Grb2 functions at the top of the TCR-induced tyrosine kinase cascade to control thymic selection.” Proc. Natl. Acad. Sci. USA 107:10620-10625.